Under a bill approved by the Legislature in 2014 a year before the plan was implemented, the committee that reviews and suggests new legislation dealing with water issues is required to review specific elements of the plan. Although it is not required to, the committee then can suggest bills altering that plan, but such measures would require the full approval of the Legislature and the governor. The committee is scheduled to vote on final recommendations on the plan on Oct. 5. The current plan, called for by Gov. John Hickenlooper back in 2013, sets a number of goals for water basins in the state to meet by 2050 in order to ensure there is enough water for a growing population, while still maintaining adequate in-stream flows for environmental and recreational purposes. A new report released earlier this month updating how the plan is being implemented says those goals are being met. These words appear on the Colorado Water Conservation Board’s website, describing the need for and purpose of the proposed Colorado Water Plan, which is to be drafted by the end of 2014 under an executive order signed by Gov. John Hickenlooper in May 2013. Our goal for the water plan is to provide a path forward for providing Coloradans with the water we need in the future while seeking to maintain such divergent values as healthy watersheds and environment, robust recreation and tourism economies, vibrant and sustainable cities and viable and productive agriculture. Colorado’s Water Plan will build on eight years of extremely valuable water supply planning work by the Statewide Water Supply Initiative, the Inter-Basin Compact Committee and the nine Basin Roundtables, one for each of the major watersheds in the state. In 2014, the Colorado General Assembly passed Senate Bill 14-115, which also recognized the need to engage the general public in the water planning process by gathering input through a series of public meetings in all the major river basins of Colorado. SB-115 directs the legislature’s Interim Water Resources Review Committee to convene these meetings, gather public input and provide comment on the draft water plan by Nov. 1. The next of these public meetings is scheduled for Tuesday from 9 a.m. to noon at the Bud Werner Memorial Library in Steamboat Springs. This meeting is for residents of the Yampa and White river basins. I invite and encourage all residents of Northwest Colorado, from Steamboat to Rangeley, to attend this important meeting. The WRRC recognizes that water issues inherently involve competing values that cannot all be resolved through technological or technical fixes. Different groups bring different values to the conversation. There is no “right” way to balance these competing interests and values. Through SB-115, the WRRC is asking the public to help make Colorado’s Water Plan a better document that seeks to represent the values of all state residents. 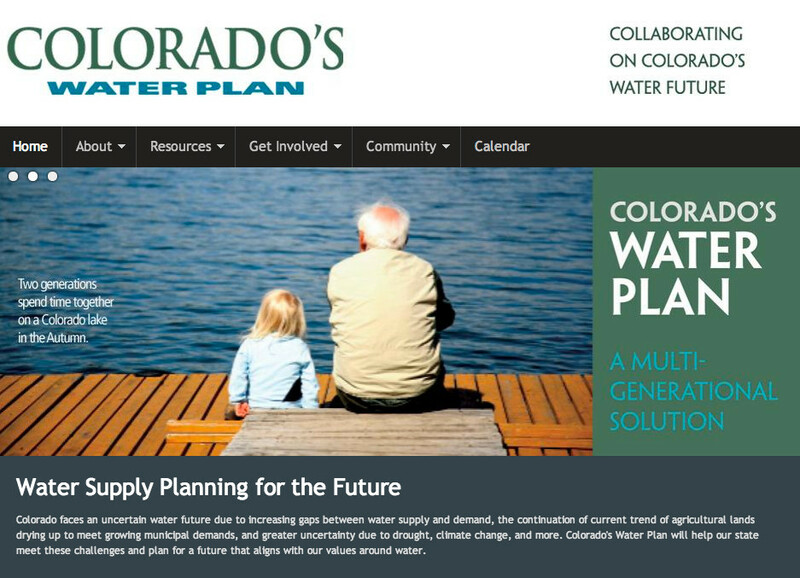 The WRRC also recognizes that the Colorado Water Plan will identify difficult choices and tradeoffs that will need to be made to plan for and create a sustainable water future. SB-115 envisions a public process that lays out these choices and tradeoffs facing Colorado and seeks to find a way through public input to navigate the difficult issues that lie ahead. Mike Preston is the chairman of the Southwest Basin Roundtable, which is putting together Southwest Colorado’s recommendations for this area’s section of the plan. He shared highlights and summaries from the group’s draft. And then attendees were off. Increasing storage is key because more of Colorado’s water is leaving the state than we are required to release based on compacts and agreements. Increasing storage on the Front Range as well as here was one suggested answer. Practicing conservation is essential for Coloradans and people in downriver states who use Colorado’s water. Protecting water rights might be required. Water is a property right in Colorado. 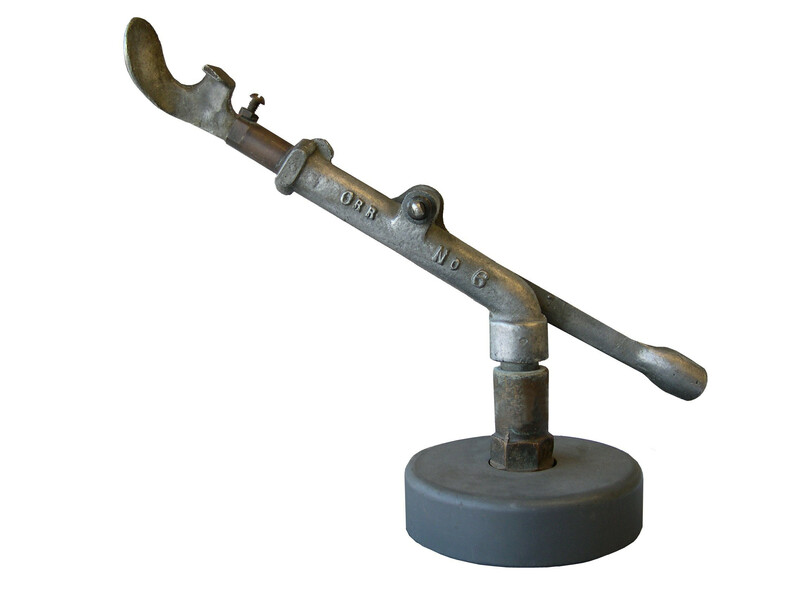 Pending federal regulations may threaten those rights. There were concerns that federal regulations and this new Colorado Water Plan might trump existing, and valuable, water rights. Our goal for the Water Plan is to provide a path forward for providing Coloradans with the water we need in the future while seeking to maintain such divergent values as healthy watersheds and environment, robust recreation and tourism economies, vibrant and sustainable cities, and viable and productive agriculture. In 2014, the Colorado General Assembly passed Senate Bill 14-115, which also recognized the need to engage the general public in the water planning process by gathering input through a series of public meetings in all the major river basins of Colorado. SB-115 directs the legislature’s Interim Water Resources Review Committee (WRRC) to convene these meetings, gather public input, and provide comment on the draft Water Plan by Nov. 1. The next of these public meetings is scheduled for Friday, Aug. 29, at 9 a.m. at the Rawlings Library, 100 East Abriendo Ave. in Pueblo. This hearing is for everyone who lives in the Arkansas River drainage, from Leadville to the Kansas border. I invite and encourage all residents of the Arkansas Basin to attend this important meeting. Protection of the river ecology and preservation of recreation and agricultural interests was the consistent message heard by a panel of Colorado legislators who convened here Thursday to gather public comments on the new state water plan. And the best way to ensure that is through better statewide water conservation practices and no more trans-mountain water diversions from the Western Slope to the Front Range, those who testified before the state Legislature’s Interim Water Resources Review Committee concurred. “What’s healthy for recreation is healthy for rivers and streams,” said Aimee Henderson, co-founder of the Upper Colorado Private Boaters, an affiliate of American Whitewater based in Glenwood Springs. “Additional diversions are not an acceptable solution,” she said, adding there should be a statewide conservation agreement to decrease water consumption. The Thursday meeting at the Glenwood Springs Branch Library attracted about 100 people, many of whom are members of the Colorado Basin Roundtable or have been involved in those discussions over the past several months. 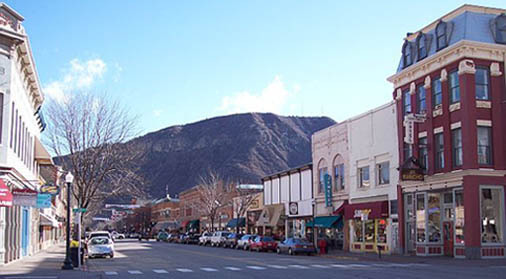 The Glenwood Springs meeting focused on concerns within the main stem of the Colorado River, including the Roaring Fork, Eagle and Blue river valleys. Many of the comments echoed those contained in the draft Colorado Basin Implementation Plan, which emphasizes a high conservation standard statewide and discourages further water diversions. The draft basin plan concludes that any more water diversions would severely damage the state’s recreation-based economy, agriculture and the environment, and would jeopardize upper basin users should there be an interstate compact call by down-river water users. [Ken Neubecker] summarized the comments of one of nine separate tables that engaged in small-group discussions with members of the legislative committee before the floor was opened up to general testimony. “If you’re going to take a new supply for the Front Range, it’s going to come from someone else who is already using it,” Neubecker said. Another concern expressed at the hearing included that the water plan is only intended to address water needs through 2050, even as growth pressures are likely to continue beyond that time. Others who spoke said it’s important to factor climate change models and predictions into the water plan. The water committee has started its deep dive into conservation issues, especially as it relates to the transfer of water used in agricultural production to urban municipalities along the Front Range. This conversation was triggered by a controversial bill I carried last year. I’m determined that we’ll keep at this until we reach best practices that make sense and reflect the precious nature of water in our state. I appreciate the active engagement of several of my constituents in bringing ideas and zeal to this topic and as I travel the state with the water committee as we hold hearings over the next two months on what should be in the state water plan, I’ll be sure that the topic of water conservation gets brought up and vetted in all areas of the state. 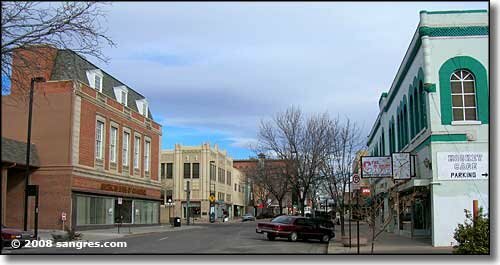 My principal concern with municipalities failing to do everything they can to conserve water is that the urban corridor on the Front Range, including, but certainly not limited to, Denver, seek to transfer more water from the Western Slope to satisfy their residents’ needs and desires. I don’t need to inform my constituents of the impacts this would have on our way of life, on our viable agricultural production, and on our environment. Also breathing down our necks is the impact of a potential “call” on the Colorado River from downstream states legally entitled to a share of that water for their own uses. If such a call is made, we won’t be getting water shipped back from the Front Range to satisfy the call. Having a conversation about conservation may be clever word play. Having that conservation is rather more difficult than saying it, as became evident in legislative committee hearing last week in Denver. Nobody testifying before the committee opposed the idea of saving water as Colorado seeks to accommodate 10 million people at mid-century, up from today’s 5.3 million. In fact, it became clear that much is already being done. Without specific mandates, per capita water use has declined dramatically since the late 1990s. Per capita residential use in Pueblo dropped from 185 gallons per capita daily to 120 this year. “We’ve changed, the culture changed,” said Paul Fanning, of the Pueblo Board of Water Works. Changes provoked by severe drought of 2002 has remained. Before the drought, people were giving turf 22 gallons per square foot in Denver. Now, it’s down to 16 gallons, said Chris Pipher, governmental affairs coordinator for Denver Water. Municipalities use only 8 percent of water in Colorado, suggesting the state can easily reallocate or develop water for new residents. It’s not that simple. Water available for additional development in the Colorado River Basin is uncertain and highly contested in the case of new transmountain diversions. Rural, farming areas want to survive – while preserving the right for individuals to sell their water to cities, if they wish. Roberts’ bill originally proposed sharp restrictions on lawn sizes when new subdivisions are built that use water obtained by drying up farms. That proposal didn’t survive.“I now know what it’s like to be between people and grass in Colorado,” said Steve Harris, of Durango, who originally came up with the idea. The idea now on the table is to specify a ratio between indoor and outdoor use. The size of the dwelling wouldn’t matter. It’s currently at about 50-50, but in some places 60 percent of annual water at homes is used indoors. Some thing it can be pushed to 70 percent. Why does this matter? Indoor water is typically flushed down drains and ultimately 85 to 90 percent is returned, after treatment, to streams and rivers. Water is being directly reused after treatment in several places in metropolitan Denver. If that proportion is higher, that means less water is used outdoors. Water budgets were also mentioned frequently. Boulder has already embraced the concept. The budget is the amount of water you are expected to use during a specific month. Each customer’s budget is based on the unique water needs and past use. Stay within your budget and you pay less for the water you use. Two water districts in the southwest metropolitan Denver, Centennial and Highlands Ranch, also have adopted water budgets for customers. “The water budget for outdoor irrigation provides enough water for healthy landscapes, but not so much that our resource is wasted,” the Centennial Water and Sanitation District website says. “Progressively higher tiered rates over the allotted budget serve to encourage conservation. Several speakers made the point that it’s far easier to install water conservation when homes and other buildings are developed, instead of afterward. Rebecca Mitchell, of the Colorado Water Conservation Board, further offered that incorporating water conservation is much less expensive than developing new supply. John Barnett, long-range planner for Greeley, noted that a 20 percent increase in density will yield a 10 percent decline in per-capita consumption. But Greeley, like all other municipal representatives, pushed back at a “one size fits all” approach to conservation. Stibrich also spoke to the perceived drawbacks of conservation that goes too far in towns and cities: reduced tree canopy, increased “heat island” effects, increased stormwater runoff and accompanying water quality degradations, and reductions in property values. Drew Beckwith, of Western Resource Advocates, suggested one way that Colorado might allow local autonomy while move statewide conservation forward is to use funding as incentive. That’s what California does, he said. Whitehead continues to think the proposal coming out of Durango might work. It sets a goal of indoor use vs. outdoor use, clearly pushing local governments to deeper conservation, but letting them figure out how to do it. Chris Elliot, a developer of master planned communities in Arvada, Aurora and Golden, said that planning offices generally are very open to landscaping that requires less water use, but parks departments are old school, wanting to lavish water. Brenda O’Brien of Green Co said the role of state government is to provide consistency. State Rep. Don Coram, of Montrose, listened to Denver Water’s Jim Lochhead talk about Colorado River problems, and then responded: “We’ve heard a lot today about water budgets,” he said. “It’s time they lived within their budget, as far as I’m concerned,” taking swipe at California’s water use in excess of its compact allocation.